I stopped by last weekend on Friday Night to check it out and it’s a beautiful collection. 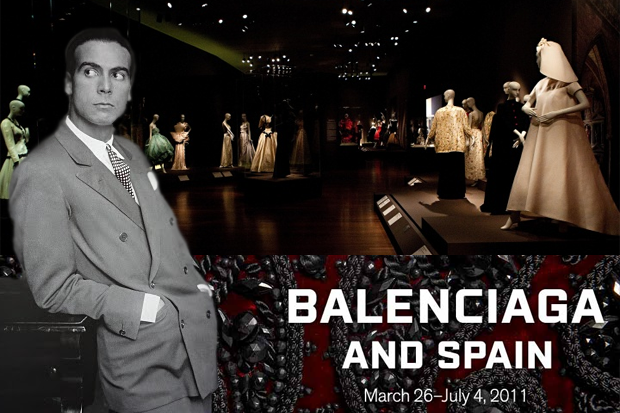 Curated by Hamish Bowles, the exhibit explores how Spanish culture influenced Cristobal Balenciaga’s designs, focusing on six key areas: Spanish art, dance, bullfighting, religious life, regional dress and the Spanish court. Be prepared to be wowed by Balenciaga’s architectural cuts, flamenco inspired ruffles and hems, bolero jackets and intricate embroidery. I particularly loved the pieces shown in silk linen and gazar. Photos aren’t allowed, but they wouldn’t do the exhibit justice anyway. You’ll have to see this one in person!